A Deputy Superintendent of Police and a militant have been killed in the ongoing encounter between security forces and militants in Kulgam on February 24, while an Army Major was injured. 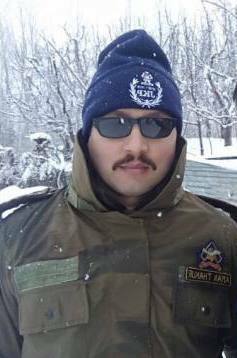 Initial reports suggest the DSP, who was in-charge operations, sustained bullet injuries in the head and succumbed in the hospital. “Body of a militant was spotted at the encounter site. The firing is on,” said a police official. An injured Army Major has also been shifted to 92 Base Hospital in Srinagar, said the official. The encounter started between militants and security forces in south Kashmir’s Kulgam district on February 24 afternoon after a joint team of Army, CRPF, and the Special Operations Group of the J&K Police have cordoned off Turigam area of Yaripora in Kulgam. While the security forces intensified searches towards the suspected spot, the hiding militants fired upon them and triggered a gunfight, police said. “Exchange of fire at Turigam #Kulgam. Security forces on job. Details will follow,” wrote a police spokesman on Twitter.